Our wireless tank monitoring equipment is unmatched in breadth of product, radio strength, and reliability. The system can communicate via cellular, satellite, or Ethernet to ensure the best solution for any application. Centeron Dispatch Compass is designed specifically for the liquid distribution business and easily schedules the most efficient routes for any combination of bulk, multi-compartment, packaged goods, or combo trucks. With these powerful tools in place, any fleet will travel fewer miles in less time for less cost than ever before. And with higher levels of efficiency, you can service more customers and generate more profits without adding additional trucks or drivers. 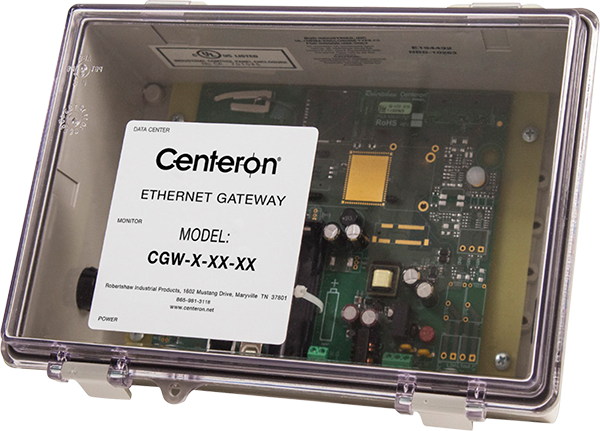 The Centeron Ethernet Gateway wirelessly receives data from any Centeron RF monitor and communicates the data to the Schneider Electric data center via the internet. It is a cost-effective alternative for anyone needing frequent tank level udpates, or level on demand capability. NOW INCLUDING “POLL NOW” FEATURE for instant level data on WebView. The Ethernet Gateway connects to any Ethernet- based network and comes equipped with an integral RJ45 jack for quick and easy installation. *NEW* Remotely set-up and revise report schedule and alarms; now supports automatic fill detection! *NEW* Troubleshooting lights assist all aspects of installation, and stores and reports missed monitor pings for better remote troubleshooting!